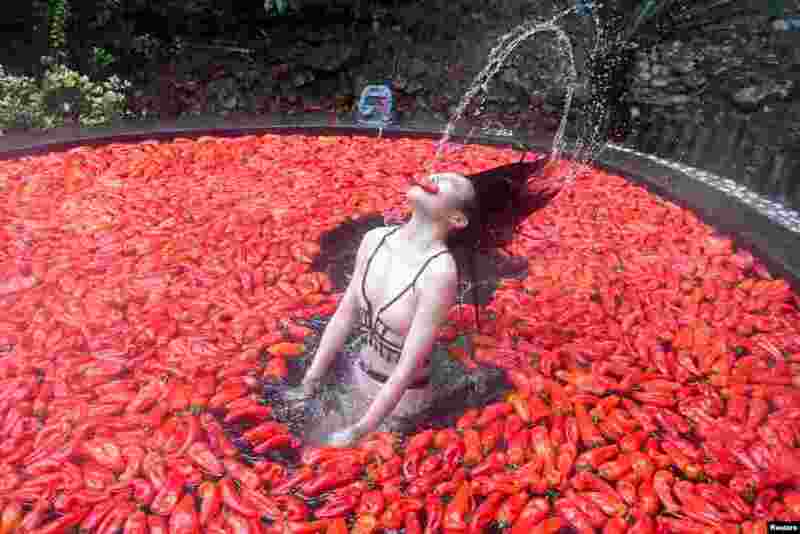 1 A participant takes part in a chili-eating competition at a hot spring in Yichun, Jiangxi province, China. 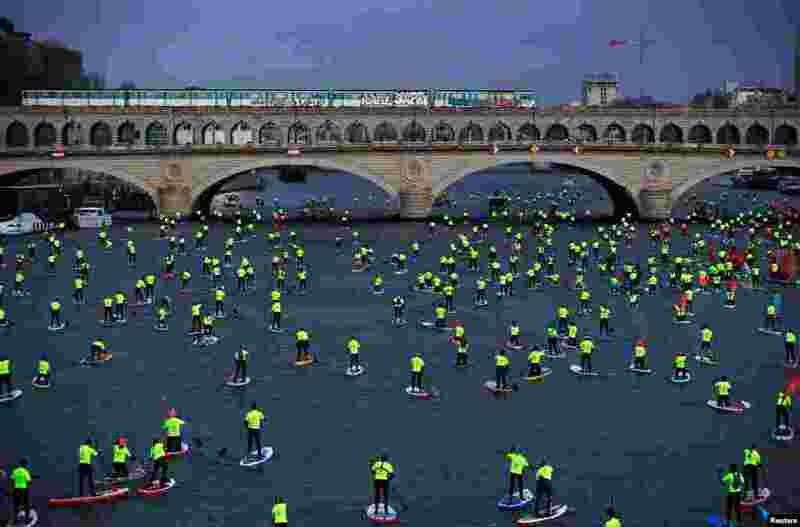 2 Participants make their way in the 9th Edition of the Nautic SUP Paris Crossing stand up paddle competition on the river Seine in Paris, France. 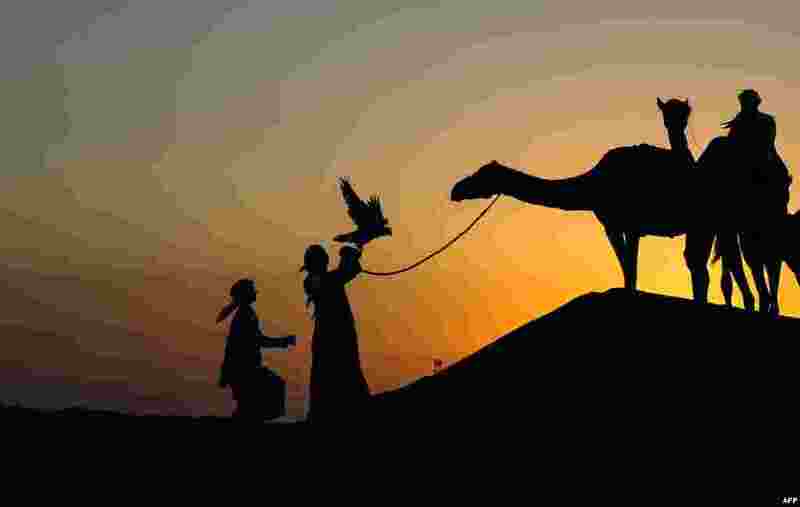 3 A falconer releases a falcon at Al-Marzoom Falconry Reserve, about 100 kilometers southwest of Abu Dhabi, United Arab Emirates, Dec. 8, 2018. 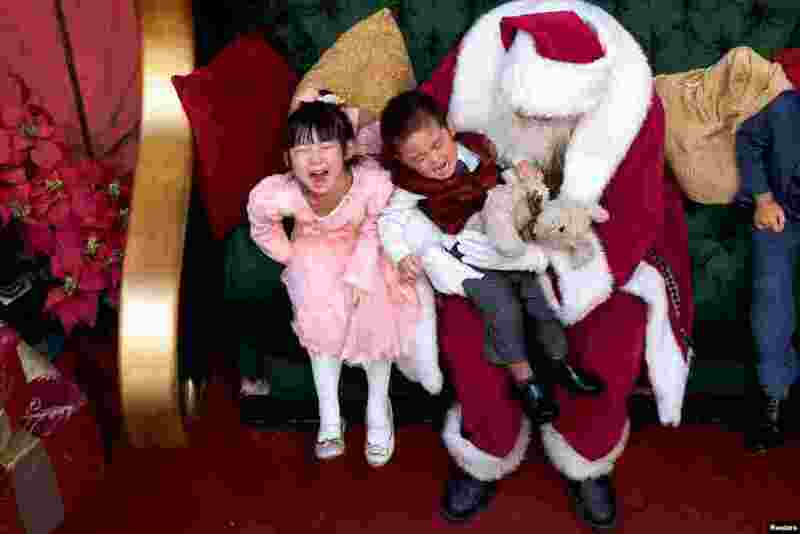 4 A girl laughs while her brother cries being held by Santa Claus at the King of Prussia Mall, in King of Prussia, Pennsylvania, Dec. 8, 2018.